Dr Sophia Yin was a woman with a vision – a pioneer and innovator within the world of animal handlers. Most people who work with animals on a regular basis, from veterinary staff, to groomers and behaviourists, would doubtlessly have benefitted from her advice and studies. She stepped out on her own to challenge the status quo in animal training and developed techniques which involved low-stress compassionate handling and behaviour modification for fearful animals in challenging situations such as visits to the vet, car journeys, animals which were being medically examined and other day to day fear/phobias that some animals have. 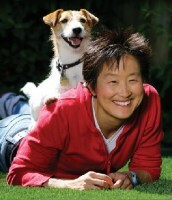 Her tireless work in this field led many animal practitioners to change the way they saw and handled their patients and many animal guardians benefitted from understanding how to best manage their pets’ behaviour without resorting to archaic, inhumane or rough correction techniques. I would like to highlight five feline related works by Dr Sophia Yin which were covered on her web site and in her many books, advice sheets and videos. Each section will come with a link to the whole article. Vets, vet staff, animal hospitals, animal groomers, animal welfare organisations, animal sitters, dog walkers, animal behaviourists and animal communicators – we all owe her a hugh debt. Her work will live on in us as well as those in the future who continue to strive for a better understanding of our fellow sentient beings. 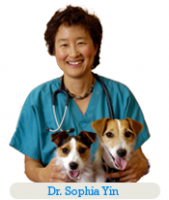 Dr Sophia Yin is sure to be healing all of the animals in heaven from now on. Frequently in our jobs at veterinary hospitals, shelters or even boarding facilities, we’re so used to dealing with animals and trying to get our jobs done quickly that we forget how our actions can affect the animal or look to the clients. For instance, Cindy Dean describes two different types of encounters she has had when she takes her dogs to the veterinary hospital she’s been going to for 20 years. “Some of the vets that our dogs have seen do not seem to know how to approach a shy dog,” says Dean. These veterinarians have had trouble examining the dog and have had Dean open the mouth to examine at a distance. While most veterinarians and pet care professionals want to help animals, sometimes even when we are trying to be helpful and friendly, we inadvertently do things that make the animal more uncomfortable or scared, which in turn makes each interaction more laborious and even unsafe. It may seem that some people just have a gift for knowing how to act around animals and others lack it, however, the difference is really about whether they can understand the animal’s point of view. In reality dogs and cats are a lot like us humans. The same things that make them uncomfortable would make us nervous too. Here are five tips that will help you. 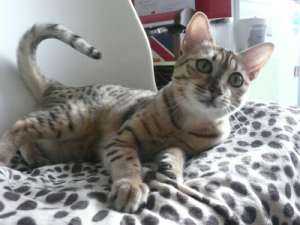 Anyone who owns a Bengal cat knows that they can be Herculean meowers, and my Bengal cat, Dante, is no exception. He’s been known to hold a meow for what seems like 5 minutes. When I first adopted him a couple of years ago, I just ignored his meowing and pretended he didn’t exist and then rewarded him with petting or treats for being quiet—hint, this works way better if you’ve first spent a day or so rewarding them 50 times for sitting quietly. He quickly learned to be quiet. 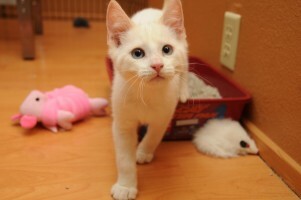 But since meowing incessantly is in his genes, occasionally a sudden change in environment will bring his meow impulse back. For instance, once when I was traveling, the pet sitter locked him out of the house. It took us several days to find him and when we finally caught him, he just wanted to escape again. We could tell this was on his mind 24-7 because that’s how frequently he vocalised his feeling to us as he eyed the door or tried to dart out. I finally put him on the full-on Learn to Earn program for a day where he was actually on leash and harness and received all food and petting only when he sat or lay down. By the second day he wasn’t meowing anymore or trying to dart out. No need for a leash anymore and he went back to regular meal feeding. But then, of course, as I stated before when there’s some big change his meowing habit comes back. So as a result, I finally have a chance to show what it looks like when you work on fixing the behaviour. At first we gave the insulin but then Mochi started hiding from us. We didn’t want to make her hate us, so we discontinued the treatment even though we knew that without she wouldn’t live long. How many times have you heard something like this where a client fails to carry through with treatment because the treatment ruins her bond with her pet? 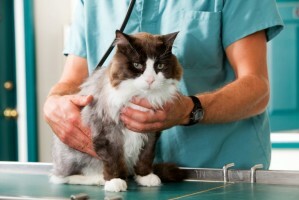 If the treatment is an injection of some sort, this type of situation should not happen because it’s easy to train cats to love getting injections and this comfort with injections can be taught in just a handful of days. Here’s how. Anyone who rises to the 5:00 a.m. wake-up call of a hungry cat knows that this early morning meow has a clear meaning—Feed Me Now! But can meows alone carry clear messages in different contexts? Nicholas Nicastro and Michael Owren, both formerly in the psychology department at Cornell University, have an interesting answer. While Nicastro was a graduate student at Cornell, he recorded the meows of 12 cats in five different contexts—food related (prior to regular feeding), agonistic (when being petted too vigorously), affiliative (when the cat solicited affection from the owners), obstacle (when the cat wanted in or out), and distress (when the cat was taken for a car ride). Then under a carefully controlled laboratory setting, he tested people in their ability to categorise the calls correctly without the help of any visual or contextual cues. There are so many different cat related articles that it is hard to imagine where Dr Sophia Yin got the time to also write a book, give seminars, and teach veterinary staff. I was so lucky to have had the chance to interview her 4 weeks prior to her sudden passing. You can read the interview here. For a wealth of information on cats, the handling and understanding of them please visit Dr Yin’s web site. There you will be able to lose yourself in pages and pages of practical invaluable advice to see you and your kitty on the road to a wonderful healthy and happy relationship together. The animal world salutes you.